Cleaning Mac computers is actually a necessity, although it is something that is dismissed by most users. There is this misconception that all you would have to do is operate the software and cleaning will not be needed as Mac is stronger than Windows from this point of view. In the past it was true that Macs were better from this point of view but now we have basically the same types of systems in terms of the clutter that can appear. The good news is that cleaning up Mac computers is not as difficult as you may think. You most likely just do not know what to do. 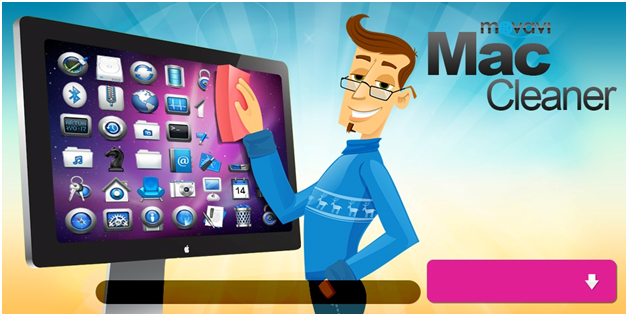 That is why we should present Movavi Mac Cleaner, which is currently one of the very best programs of its kind. Movavi Mac Cleaner was built for OS X operating systems, allowing the user to clean an iMac, a MacBook or basically any one of the Apple computers. The files that are unnecessary and that remain after you modify, install or remove applications will always take up a lot of HDD space. Also, the computer can end up being slowed down. What is interesting is that most people have no real idea that the files actually exist. Using software like Movavi Mac cleaner means that you can remove the files without any hassle as all that is needed is a few clicks. One of the most interesting things that you should know is that the Mac Cleaner automatically analyzes the files on the computer from the moment you open it. The files that are garbage and that are hidden are going to be discovered. There is no need to look for these files alone. Cached Files – user cache, sandbox cache and system cache are included here. Log files – you will be surprised to see how many logs are stored by most Mac programs. Unused localizations – as an example you can get rid of the language file that is totally no needed for you. Old/Large Files – Mac Cleaner will eliminate the forgotten files that are large and that you never actually use. Duplicates – few people know how many duplicates tend to appear in Mac computers but this software can remove them. Trash bins – the option that you surely already thought that would be available.